http://storitorigrace.blogspot.com/2017/07/writing-lessons-from-movies-once-upon.html Once Upon a Forest. http://avajae.blogspot.com/2017/07/ch-ch-changes.html Deciding to cut back. http://www.fromthemixedupfiles.com/2017/07/start-bang-or-not-story-openings/ Do you begin with a bang or a character? http://www.adventuresinyapublishing.com/2017/07/tips-to-better-engage-your-reader-by.html Three ways to engage your reader better. https://colleenchesebro.com/2017/07/14/spice-the-tiny-dog-who-stole-our-hearts/ The loss of a loved one. http://scbwimithemitten.blogspot.com/2017/07/you-can-take-detour-and-choose-your.html Rejection and how to survive. http://www.novelrocket.com/2017/07/strong-openings-to-overcome-reader.html Reveal the what and why. http://www.booksandsuch.com/blog/writing-methods-way/ Do things your way. http://www.novelrocket.com/2017/07/your-protags-biggest-problem.html Are your characters going somewhere you haven’t been? http://englishhistoryauthors.blogspot.com/2017/07/did-queen-kill-her-husband-first-trial.html Mary, Queen of Scots. http://www.thisishorror.co.uk/tih-155-tony-mcmillen-on-an-augmented-fourth-black-sabbath-and-word-horde/ Relationship between heavy metal and horror. http://www.thisishorror.co.uk/preview-su-002-rosemarys-baby-1968/ Real-life and art converging. http://annerallen.com/2017/07/how-to-record-your-audiobooks/ If it’s a great book, it could be a great audio. https://killzoneblog.com/2017/07/i-just-finished-my-first-novel-and.html Your first novels are for practice. You may be able to salvage the idea later on when you’re more experienced. http://lizlovesbooks.com/lizlovesbooks/creating-atmosphere-with-sophie-jonas-hill-nemesister-blog-tour/ How to create atmosphere when you’re writing. https://coldhandboyack.wordpress.com/2017/07/14/a-post-of-opportunity/ Help with the book tour/review. https://donmassenzio.wordpress.com/2017/07/09/this-week-in-indie-publishing-26/ A writer finds confidence in herself after years of darkness. https://nicholasrossis.wordpress.com/2017/07/09/5-tips-to-get-you-tweeting-like-a-pro/ Tips on marketing with twitter. https://www.thebookdesigner.com/2017/07/worlds-shortest-book-marketing-plan/ Answer these five questions. https://stacitroilo.wordpress.com/2017/07/14/author-inspiration-writing-links-5/ Links for the week. https://thestoryreadingapeblog.com/2017/07/14/editing-101-46-recognizing-publishing-scams/ How to recognize scams. https://www.thecreativepenn.com/2017/07/15/develop-character-voices/ Use a distinct voice for each of your characters. Read your dialogue aloud to help this. https://janefriedman.com/sample-permission-letter/ How to seek permission to include in your work. http://www.thepassivevoice.com/2017/07/how-to-write-a-fight-scene-in-11-steps/ Three examples from famous books. http://blog.janicehardy.com/2010/05/we-need-montage.html How to have your character learn something without boring the reader. http://writersinthestormblog.com/2017/07/what-playwrights-can-teach-us-about-dialogue/ How to write cruel, joyful, and more. http://authorkristenlamb.com/2017/07/punkd-by-steampunk/ The rules of steampunk. http://sethgodin.typepad.com/seths_blog/2017/07/but-what-if-youre-doing-it-wrong.html Marketing done right: not pushy, not stalkerish. Just display your product and leave it to your reader to pick it up. http://sethgodin.typepad.com/seths_blog/2017/07/permission-abused-is-permission-lost.html Permission is valuable and fragile. https://doctorly.wordpress.com/2017/07/13/tall-and-skinny-no-whip/ A doctor who gets it. https://davidgaughran.wordpress.com/2017/07/15/scammers-break-the-kindle-store/ Clickfarming to the top. http://writershelpingwriters.net/2017/07/character-motivation-entry-achieving-spiritual-enlightenment/ Some things to consider. https://nicholasrossis.wordpress.com/2017/07/15/emotional-beats-hunger-drinks-and-food/ Ways to have your character eat or drink. https://kerrymckim.com/2017/07/14/2306/ Lessons learned from dating. http://www.livewritethrive.com/2017/07/13/why-your-protagonist-should-have-a-past-wound/ It makes for a richer character. 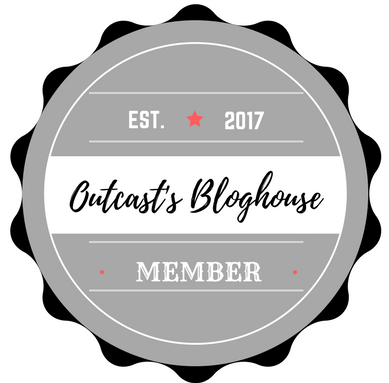 Check out these great links to some awesome blogs from Traci Kenworth’s blog. I’m honored to be included.